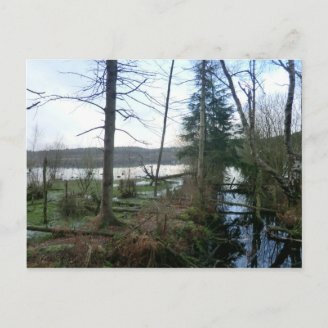 My Zazzle store is called BeautifulBritain. I travel around the British Isles taking hundreds of photographs, then I filter them down to those good enough for sale. It should all be so very easy. 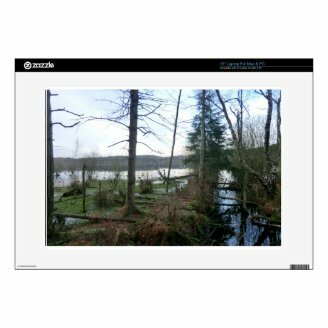 Zazzle provides the template and I have the picture, but often that can be like fitting a square peg in a round hole. Or an oblong hole. Or a star-shaped hole. Or any other shape needful to produce the perfect Zazzle item. After some trial and error, I have uncovered the ways to speed up making images fit. 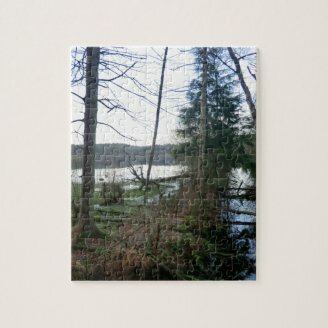 Why Do You Want Images to Fill the Space in Zazzle Products? Quite simply because it looks better and much more professional. Nobody wants to buy an item which looks slapdash and thrown together. It would certainly be easier for us sellers to list the products exactly as the uploads leave them. But occasionally that isn't the best that they could be. Take the work in progress greeting card pictured. The photograph doesn't fill the front of the card. There are white edges top and bottom. Assuming that you have a great fondness for the depicted scene, would you buy it as it is? With Zazzle products, you must always put yourself in the place of the buyer. I know that I'd want that whole frontage filled by the image that's caught my eye. I'm not in the market for buying white edges. I'm after a picture of Blakemere Moss in Delamere Forest. Moreover, it just looks more professional to complete the product. It demonstrates that some care has been taken over what you want to pass on to your customers. You're not here to retail shoddy goods, but to give them the best that you can do. You took the time to learn your skill, practice your talent and put it to good use. Artists pour love and attention onto their canvas or digital tablets; photographers find their locations. It would be a shame if mere presentation ruined the final product, particularly when it's all so easy to fix. Let me show you how; but first, let us get rid of the no starters. Would you buy a greeting card which looked like this? No, nor would I. Some Zazzle items will never look good, no matter how often you press the fill button, or pull the edges. The image or artwork simply will not fit the available space. It's too much of a square peg in a round hole. The photograph here was attempting to become a portrait aligned greeting card. But the image was horizontal. There's already an identical card with the correct alignment, so I don't need to duplicate that. With these you have two options. If you have artistic talent then insert something to fill the white spaces - more artwork or words; anything which states that this isn't dead space, but a fundamental part of the whole. If not, then the sensible option is to delete it. Pixelated or blurred images won't ever look good on a product, unless that's the artistic effect. Unfortunately some items require too much stretching. Occasionally the option to keep a bad product is taken away from you, but with good cause! In this instance, it was the kitchen towel which wasn't right. Zazzle alerted me to the fact with an exclamation mark inside a red triangle. It was repeated both at the top of the page and on the item itself. There is no way that this product could be forced through. Nothing can override that error message and the only option is to delete it. 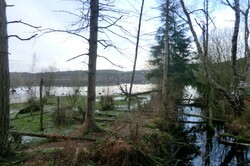 Those wanting a kitchen towel emblazoned with a scenic view of Blakemere Moss will have to go begging in this instance. But would I want to force it through anyway? By clicking on the image, I can read what prompted the alert. It sounded fair enough to me, and not something which I would want to foist upon my prospective buyers. We're sorry, there are problems with your information. But for all of the rest, there are things which you can do in order to make those finishing touches. For the vast majority of Zazzle products, merely clicking 'fill' over 'fit' will solve the problem. If you are creating products individually, then you need to find the 'fill' icon under the Customize It! heading. This can also be used to center images. If you are using the quick create, then that can be located in the pull down menu at the foot of the pop-up. I tend to make Zazzle products using the quick create function for efficiency and speed. But that doesn't mean that I don't use the overview page to refine the final piece. One of the most frustrating of all items is the laptop skin template. But it's also the easiest to fix. Using the 'fill' option in the quick create pop-up will render your image almost perfectly placed. Almost being the operative word there. By opening it up, using the 'customize' link, you can press the 'fill' icon and suddenly it really is perfect. Why it can't do that from the pop-up, I don't know. As you can see from the screenshots above, the difference is practically imperceptible. It's more obvious when you're actually doing it. In the former, the image just touches the bleed line; in the latter, it overlaps it by a tiny margin. The bleed line gives some room in the printing. It ensures that your customer will buy a product with no stray edges ruining the overall effect. This also works well for the various telephone and gaming skins, though you do need to take care to work on both the front and back images, where applicable. In its raw state, the greeting card and postcard templates leave white spaces at the top and bottom of your image. The temptation is to pull the picture up or down to fill it. Resist that temptation! The trick is to extend from the sides. Under 'customize product', look at your card under the 'product' tab. Grid-lines will surround it. On both the left and right, there's a small grey box. If you hold your cursor over this and left-click, then you can drag it. That will fill the top and bottom edges. In the example above, I've marked where the grey grab box is located. There was one on the right-hand side too, but I've already used it to pull the photograph off to that side. As you can see, the white spaces above and below have disappeared. But there's now a new problem. I went a little too far, so there's a white border appeared on the left. I could use that left-hand grab box to rectify that, but that takes a steady hand. I risk recreating the original dead spaces. Instead, I'll just click one of two buttons on the right-hand side panel. I've circled two buttons, which are our friends in situations like these. The smaller icon is that familiar 'fill' button; but this doubles as a 'center' button. It will look to see where you've moved the bleed-lines, then center your image within them. That's how I corrected the problem in the example above. The larger one manoeuvres the image up, down, left or right. But it does so in quite sizable jumps. This isn't the tool for tiny, precise positioning, though it can be useful for getting your picture into the vague ballpark. Personally, I also enjoy using the arrows to check out all of the different views on offer. Sometimes it will crop your image in ways which you couldn't previously envisage; and which look better than what you originally intended. However, they can be much more important than mere experimentation. I use the arrows for those images, where the default cropping isn't the best in which the scene could be presented. When Zazzle decides the default place to position your image, it's not looking for items of interest nor artistic focal points. It's zooming in on the hot-spots at the center of your image. This may or may not be the same thing. Let's take a close look at the image that we've been working with here. Divide any image into nine equal parts, and the majority of great ones will have their focal point at the hotspots. This is where the grid-lines cross, or where I've placed stars on the photograph above. The way that Zazzle works is to assume that this will be true of your picture too. For most people, it will work perfectly, when the fill tool protects that over all else; or when the default alignment shows only that central square and its immediate environment. However, my image is an example of where this whole basic tenet falls down. Arguably, the middle is the most boring element of the scene. The dark stream on the right is fundamental to the composition. Fortunately, Zazzle provides us with the arrow tool for this kind of fine-tuning. This works best with things like ceramics or decorations, where only a small area of the image is used. That will always be the hotspot area. Clicking up, down, right, left, as appropriate, you can re-align the picture to your chosen spot. But if you have one like mine, it may take some time to do this with dozens of products. 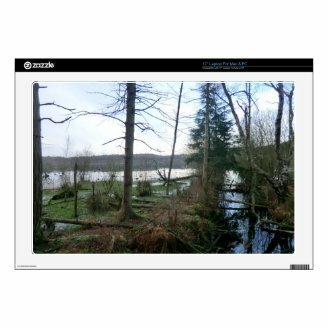 If speed and efficiency is your thing, then it could be worth being more selective with the items that you choose for market; and only using images with traditional hotspot focal points on Zazzle. With much thanks to Ember, who explained this facet of art photography to me! Fill ALL the white spaces! This one does not default to using all of the available area. To my mind, the mousepad template is the most fiddly of all to align. It's made more irritating by the fact that this is a relatively recent phenomenon. Until about halfway through 2012, you could simply open the customize page and press 'fill'. It would do so, in much the same way as it still does for the laptop skins. But today, we're left with white, dead spaces all around the template. It's still easy to fix. It just takes a few more steps to get there. First align it, using the landscape or portrait options on the customize panel. Mine was fortunately already aligned by default, but if your image is portrait, the template will need changing. Then press the 'fill' icon. This will remove the white edges to the left and right, but will leave huge ones top and bottom. As with the laptop skins, use your cursor to grab the grey box on the right-hand side of the grid-lines. Pull it across to about level with the 'm' in 'customize'. That will fill the edges, but will leave a sliver of white space on the left-hand side. Use the left-hand arrow to move your image across one space. Done! 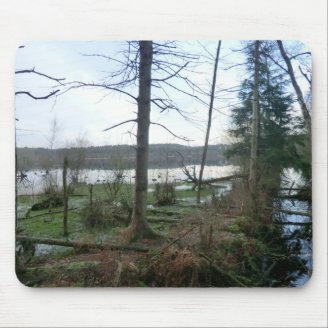 You have a perfect mousepad for your Zazzle store. I believe that I've now covered all of that tricky alignment for filling spaces in Zazzle products. If not, then please shout up in the comments and I'll add a section for your item. In the meantime, if you wish to check out the Delamere Forest Wetlands and Blakemere Moss products that I made from the image in this article, then you'll find them all on Beautiful Britain. Excellent article on how to "Size up" articles on Zazzle! Thank you! It is quite good there. When you get into a rhythm, you hardly notice yourself clicking away either, so you can listen to eBooks and podcasts while you do it. Good luck with your Zazzle store. I've been concentrating on mine too since New Year, as you can probably tell! I'm amassing a number of photos that I'd love to use in a Zazzle store (one of my New Year resolutions....from last year....! ), and it's good for me to see what kinds of tools are available for working with images, such as what you've shown here about centering images. Yes, I found out about the centring, in some products not all, by accident. I had beautifully arranged an image and nearly had it right, then went into automatic and pressed the 'fill' button. I cringed, then looked and cheered! So the fill button leaves white spaces on certain items now? You make products that I don't so I guess that is why I haven't noticed that. I also don't use QC much either. That photo you used to demonstrate looks like it could have been taken just down the road from me! 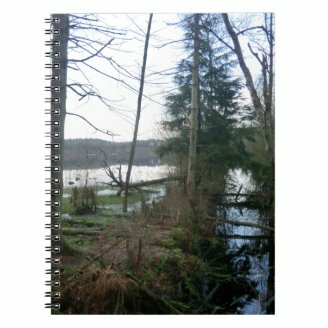 I see someone is having fun on Zazzle :) But how do you do the gridlines in Zazzle? Jo, You've got to teach me how to write a mile long article on such a simple subject. lol Great tutorial. I'm getting lessons from Ember and Bethany! I can't take any credit for the hotspot parts. But I am good at pressing buttons in Zazzle, just to see what they do.